The cold period is a big change of the living cycle for every creature including the human being. It is important to take care of yourself and it is also important to take care of your belongings which can also be affected. 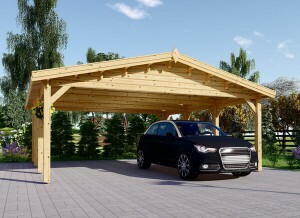 One of the log products which should not be forgotten is the wooden garage. Of course, you do not live in it, but there are so many things that you keep in it. The list of items in the garage starts with the car and finishes with all the equipment used to take care of the garden. It might be that you have already tried to a keep your garage warm and were disappointed with the result. 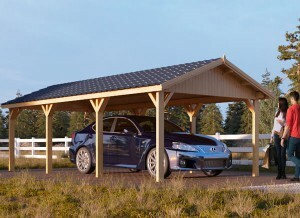 This article offers a few effective steps on how the garage can be kept warm and comfortable. Seal and close the windows: you have to inspect every window in the log cabin to make sure they are properly closed. Make sure they are locked to prevent any additional outside airflow. We highly recommend that you check if there are any gaps between the walls and windows. The easy way to find if there are any openings is to stand close to the window and use your hand. It is simple to feel the cold airflow if it is still entering the building. Caulking is one of the options that can be used to stop this. You can check the exterior edges of the windows and doors to identify if caulking would be an option for you. If you are not sure if caulk is needed, then you can hire a professional team to inspect the windows and to seal any gaps. Another product that can be used for window preparation is weather stripping. This is a self-adhesive material that is directly applied to the window. You can also find a special window sealing kit which includes all the required materials to get the best results. Your target is to find the best solution to ensure that there is no way the outside air can get into the wooden garage. 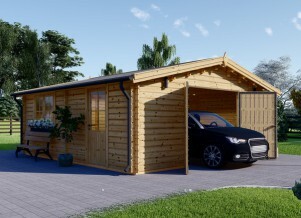 Moreover, if you plan to buy a new garage or shed you do not have to worry as these buildings come with double glazing. These types of windows are energy efficient and can offer better soundproofing. Thermal/insulated curtains: both types of curtains will prevent the loss of warm air out of the garage and prevent cold air from entering the garage. They are specially designed to be an additional barrier between the inside and outside. Usually, this is not only a very good technical specification, but contributes to a beautiful visual finish. There are quite a lot of options available. Close and seal the doors: we have already noted that it is very important to take care of the windows and the same goes for all the doors as well. We recommend checking the airflow from the outside by running your hand across the bottom and the up sides of the doors. If you detect this kind of issue, consider changing the weather stripping. Insulation can be added to the horizontal gap of the garage doors or you can use a folded towel or blanket to prevent cold airflow. 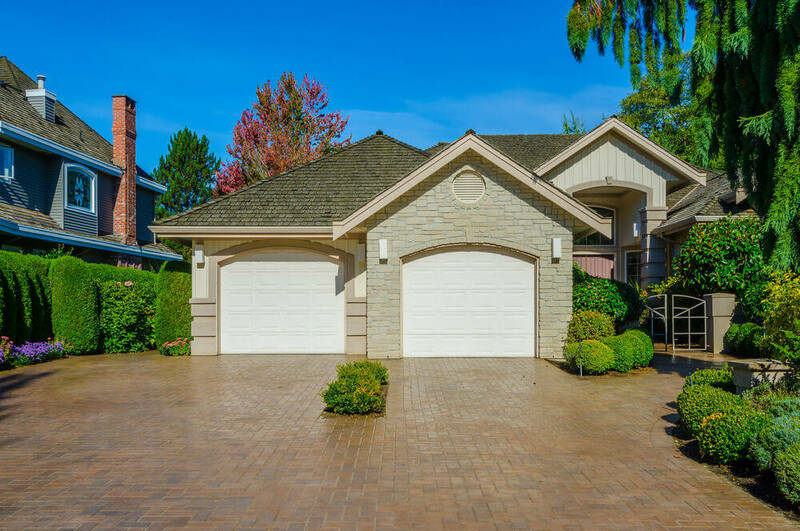 New products usually have reinforced garage doors, which can offer better thermal regulation and are safe from big winds. 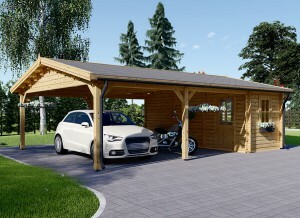 Underfloor heating: an electric underfloor heating is one more option to create a comfortable temperature in your garage. There are quite a lot of different types of underfloor heating systems and you can choose the most suitable for you. Along with an electric underfloor heating, you can consider air heating systems and hydraulic heating systems as well. A hydraulic system works with hot water circulating through pipes and the air heating system has hot air circulating through specially prepared pipes. Both systems are good options so you just have to choose the most appropriate for your situation. Portable/space heaters: this is one of the easiest ways to heat a garage as portable heaters are lightweight and can be used whenever needed to heat up the building. As soon as you switch it on the temperature increases rapidly. Insulation: this is the best way to keep any building warm, but at the same time this is the most costly solution. You have to check if the initial cost is worth the long term benefit to reduce the heating price. There are two most popular insulation types - spray foam and fiberglass insulation. Fiberglass insulation is more popular due to its lower cost while still maintaining high efficiency. Insulation keeps the warm weather inside and cold weather outside. A fireplace: fireplaces and log burners are a very attractive way to keep a log cabin warm during the cold period. This is not only a very efficient type of heating, it also adds a nice touch to the decor as well. A gas fireplace is considered to be the cleanest one. So, there are a couple of ways to keep your garage warm with different costs required, choose the best one for you.